Henst's Goshawk - Accipiter henstii - The birds of prey site of ... -- Henst's Goshawk - Accipiter henstii - The birds of prey site of Robert Goedegebuur. 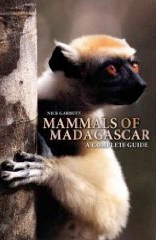 You can help support wildmadagascar.org by using this link to buy from Amazon.com. Beautifully illustrated with full color photographs throughout, Madagascar Wildlife is a celebration of the unique fauna of a remarkable island and the perfect accompaniment to Bradt's popular general travel guide, Madagascar. 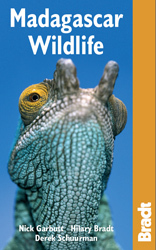 This portable guide offers a full survey of all Madagascar's mammals, both endemic and introduced, including many newly identified species. With vivid color photographs, line illustrations, and maps, Mammals of Madagascar: A Complete Guide is an essential book for any visitor. Unless otherwise noted, all content and images are the property of Rhett Butler, content copyright 2004-2008.